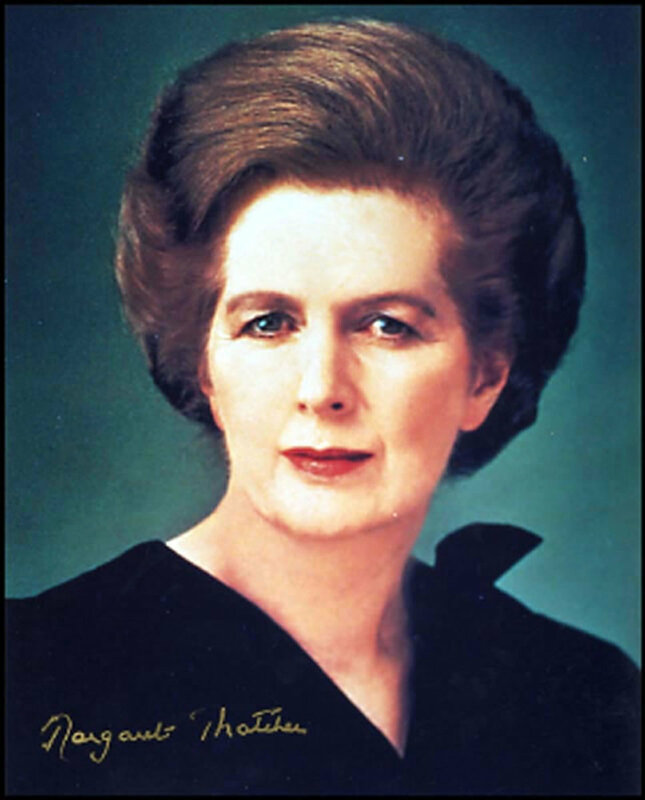 Throughout history and in all parts of the world there have been several times governments were overthrown. Whether the government was oppressive to its citizens economically, politically or culturally, revolutions, successful or failed, can be seen as people standing up for their rights. Those who take part in revolutions are seen as heroes and martyrs. For example, in recent times, many would herald the efforts of students in communist China to reform to a democratic government as heroic. While their attempts in 1989 failed to overthrow the government, and resulted in many deaths in Tiananmen square and several arrests after the fact, their actions are typically seen as noble and as effecting the change of China from an exclusive authoritarian state, one that takes no interest in public opinion, to an inclusive or consultative authoritarian state, meaning they accept public opinion but ultimately have the final say. Even the United States has its origins in a revolution seen as noble. The players in the United States' revolutionary war are honored and studied today as heroes and fathers of a nation. 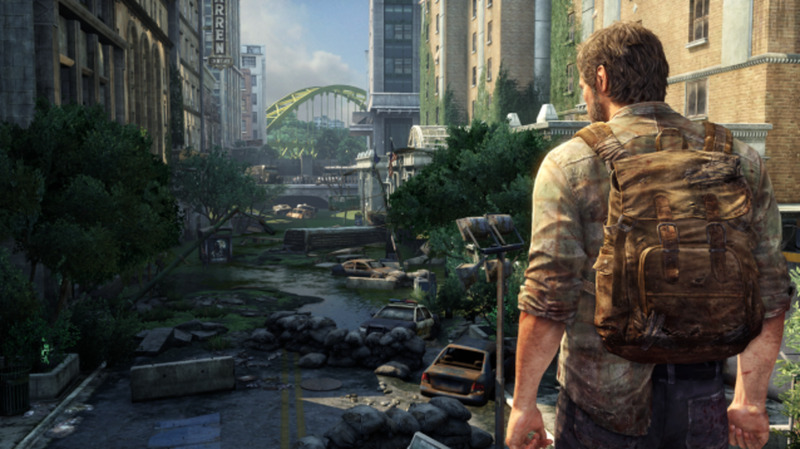 However, there is a darker side of overthrowing governments in which the players are not always seen as heroes. This darker side's name has origins in France, when Napoleon Bonaparte used military force to overthrow the existing legislating branch and eventually proclaim himself emperor. This darker side of government reform, called "Coup d`etat" or coup, is often seen as an enemy to democracy and order, and while the name has French origins from around the late 18th century, its actions can date back to Caesar and perhaps before. No part of the globe has been safe from either revolutions or coups, not even in the beautiful and serene atmosphere of the Pacific. In fact, coups happen to play a very significant role in the make-up of the modern pacific island nation of Fiji and are not only something of the past but also a real problem of the present. Early Fijian history consists of mostly tribes or family-groups co-existing together sometimes peacefully, sometimes not. These family-groups, whether friend or foe, did not remain solitary from one another and often voyaged to other island systems. Deryck Scarr writes in his book Fiji: A Short History, "Fifteen or sixteen hundred years before the birth of Christ, there flourished a voyaging people with no navigational aids other than the stars and their own acute observation of bird movements and ocean swells." Scarr goes on to say, "This epic voyaging was all the more remarkable because there was no evident economic need to undertake it. The voyagers were well fed. Pig, chicken, rat, dog, a range of fish and relatively plentiful turtle remains have been found in a rock shelter on Yanuca islet, off southern Viti Levu, where occupation is dated back to 1590 BC" (1). Early Fijians traded not only goods with Samoa and Tonga, but also people. Perhaps one reason why Fijians could identify with these two groups of islanders was because unlike most of Melanesia, that has a big man system; many groups in Fiji adopted a chiefly system, believing that their chiefs were of divine ancestral descent. 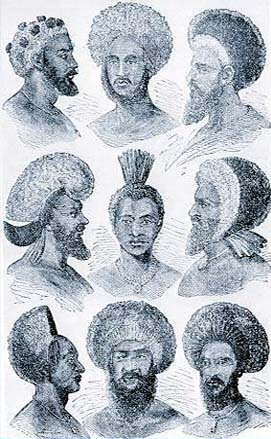 Much of the Fijian nobility would marry into the nobility of these other two island groups or even trade people for slaves. Fijians practiced cannibalism and a common greeting from a commoner to a chief was, "Eat me!" 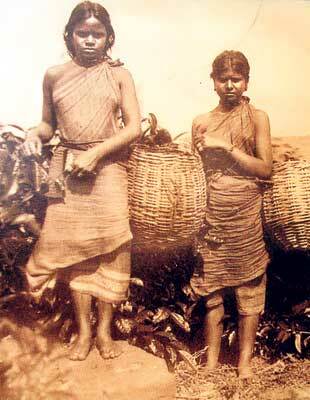 Fijians lived happily with their own culture before any influence of the western world graced their shores. However, when the "white world" did land in Fiji, changes would start to take place that began many of the problems the coups of today are rooted in. "The Dutch explorer Abel Tasman visited Fiji in 1643 while looking for the Great Southern Continent. It was not until the nineteenth century, however, that Europeans settled the islands permanently" ("Fiji"). Early contacts Fijians had with the white man were either traders or missionaries. 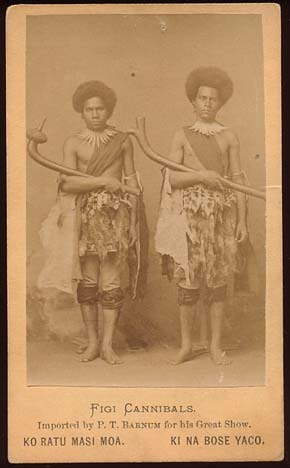 Traders were easy enough to deal with for many Fijians; however missionaries challenged the authority of ruling chiefs. Scarr writes of an instance where this challenge of authority hit a chief's boiling point. "As Tui Cakau once demanded, in a fit of anger at missionary preaching, was Jehovah the god of bodies killed for eating? Because the Cakaudrove ancestor Mai Natavasara was such a god, he must be superior. And through the 1840s all the wealth of a complex chiefdom obeying its own gods was on display to missionaries at Tui Cakau's seat, Somosomo" (14). In fact, the only reason this chief, Tui Cakau, allowed the missionaries presence in his chiefdom was because his son had joined the faith. His son said, "Their religion must be true because muskets were real enough," believing that the former might be key to possession of the latter (Scarr 14). Over the next 30 years, Christianity would slowly grow in popularity and bring more and more Europeans to the shores of Fiji. 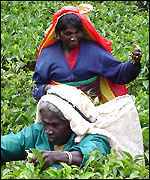 "The islands came under British control as a colony in 1874, and the British brought over Indian contract laborers" ("Fiji"). The plantation market was growing in the pacific islands in the mid to late 1800s. Planters came to the islands not in search of trade or souls, but to set up shop and stay. 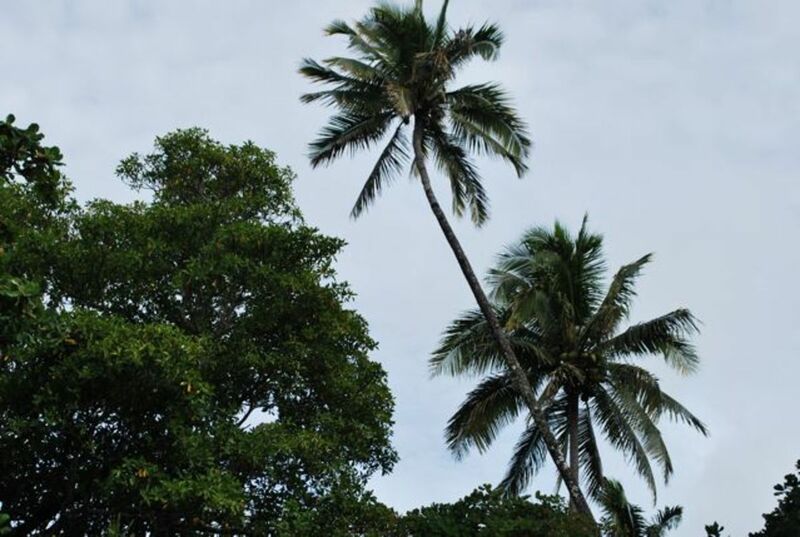 Coffee, copra, vanilla, sugar cane, some fruits, cotton and rubber were among the crops that could be grown in the pacific climate, however many of the native islanders found the task of plantation life tedious and undesirable. This caused planters to have to bring in outside labor. 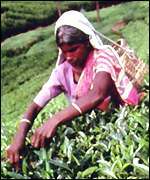 The British, seeking to get the most profit out of their Fijian colony, desided it would be best to bring laborers in from British-governed India. In 1879 Sir Aurthor Gordon from England was head of the government in Fiji and passed the four-to-ten ratio on Indian migrants which would allow families of Indians to form in Fiji. Judith Bennett says, "This was the flaw of Gordon's plan, for it provided the potential for a new class of landless proletarians within Fijian society" (Macdonald 173-178). This new class would form and laid the ground work for the most recent coups in Fiji. 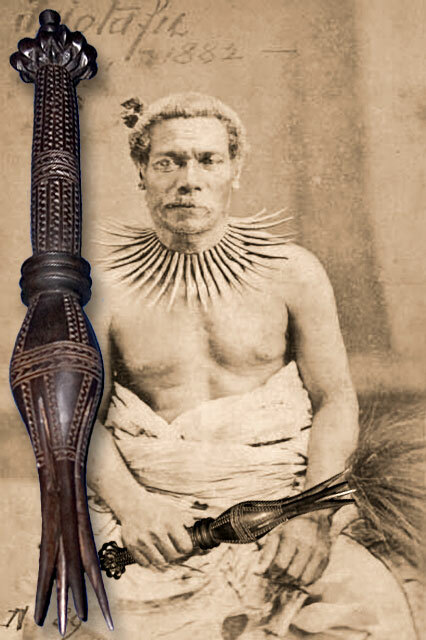 Ratu Sir Lala Sukuna depicted Fiji as a three-legged stool that stood in balance. 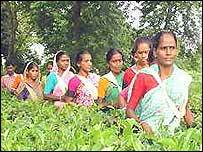 Fijians owned the land, Indians provided the labor, and Europeans managed the government. In reality, this three-legged stool was very out of balance. 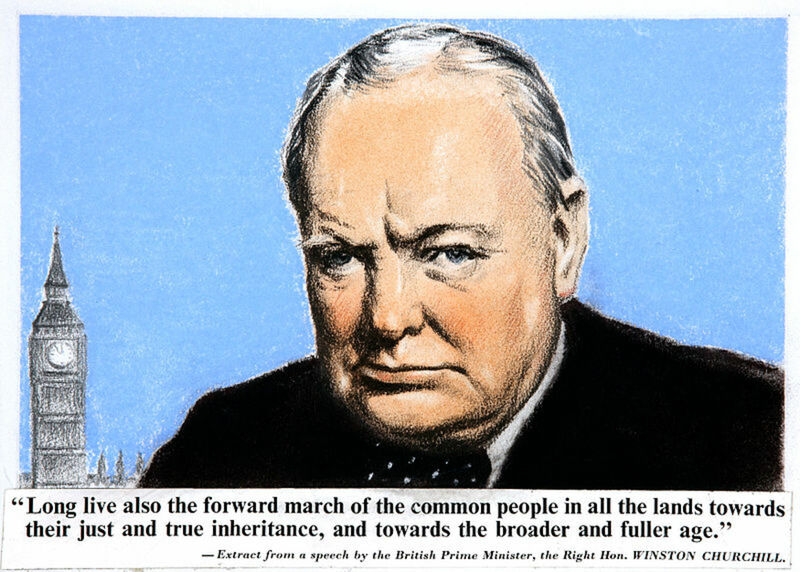 The politics that surrounded Fiji's Independence from Great Britian in the late 1960s, almost 100 years after Indians were first brought to Fiji, were not based on politics at all, but rather were based on race. Fijians fought to dominat the government in order to keep in place policies that would protect their land, while Indians (who outnumbered Fijians at the time) sought for political and social rights. Even in the way that the newly independent government in 1970 was set up in Fiji reflected the innate racist notions that existed at the time. Fijians were to have a certain number of seats and Indians were to have a certain number of seats, while a few seats were up for grabs to whoever. It is no wonder that a short time after the independence of Fiji, two different coups occurred in 1987 as different races and peoples struggled for dominance in a nation wrought with divisions. Fijians and Indians lived together harboring their prejudices for almost another ten years before they would turn into aggression and more coups. In late 1990s the counrty returned to a democratic government and in 1999 Mr. Mahendra Chaundry, the first Indo-Fijian, was elected Prime Minister. A seemingly amazing step toward equality of the races in Fiji would be squashed, however, a year later when Fiji would endure its third military coup. "May 19, 2000, a group of men led by George Speight held the government men hostage inside the parlimentary complex. Mr. Chaundry and other labor members of the government were held hostage for 56 days" ("A Race for Rights"). George Speight announced a press conference shortly after taking the Prime Minister hostage in which he stated to the world that he revoked the constitution, revoked the powers of the president, and claimed that he would now hold all executive powers. 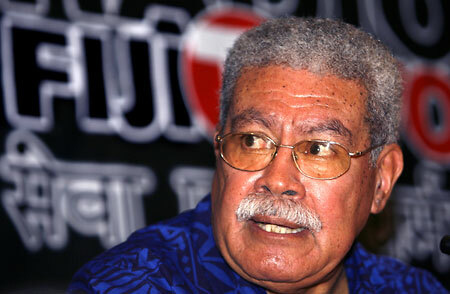 In the documentary, "A Race for Rights", Produced and Directed by Larry Thomas, an indeginous Fijian says that Speight was a failed business man with little credibility among his peers in the western world, educated abroad, spoke mostly English, was hardly involved in any of the cultural affairs in which Fijians participate, and yet often embraced as a savior by indegenous Fijians. The coup was non-violent, however, idegenous Fijians throughout the country quickly turned to violence in their demonstrations of support to take out their aggressions and frustrations with the Indian occupation. 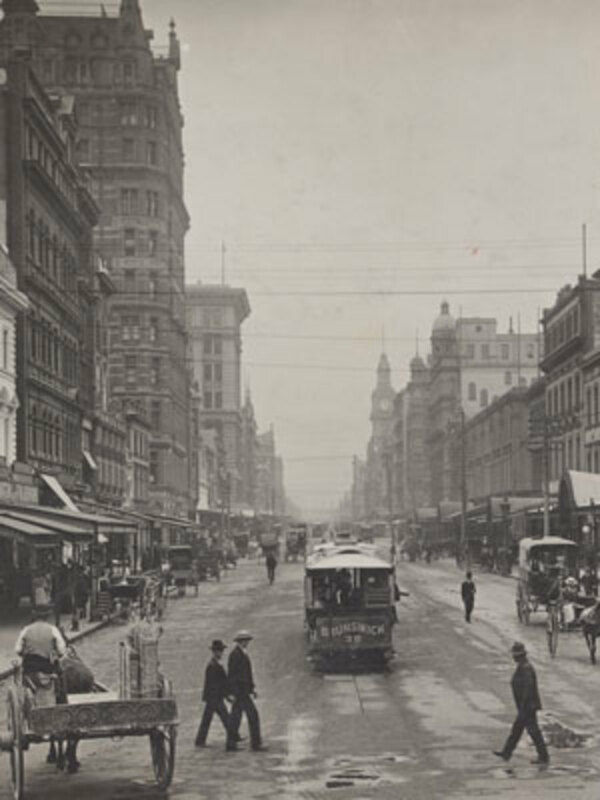 Indo-Fijian homes were burned and stores were looted as riots broke out in the streets of Fiji. A new Prime Minister was appointed by the military government and Mr. Chaundry was released which stabalized the nation for a few years, however, the false stablity could not last. 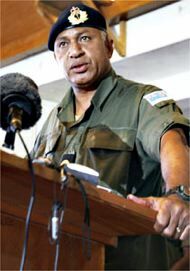 "Citing corruption in the government, Commodore Josaia Voreqe (Frank) Bainimarama, Commander of the Republic of Fiji Military Forces, staged a coup on December 5, 2006 against the Prime Minister that he himself had installed after the 2000 coup" ("Fiji"). Bainimarama had issued deadlines to Laisenia Qarase, the Prime Minister, to carry out certain political tasks, one of them being to pardon those involved in with the previous coup. When Qarase did not meet the deadlines, Bainimarama staged a military coup and named Jona Senilagakali caretaker Prime Minister. "The next week Bainimarama said he would ask the Great Council of Chiefs to restore executive powers to President, Ratu Josefa Iloilo. On December 6, Bainimarama declared a state of emergency, and warned that he would not tolerate any violence or unrest" ("Fiji"). 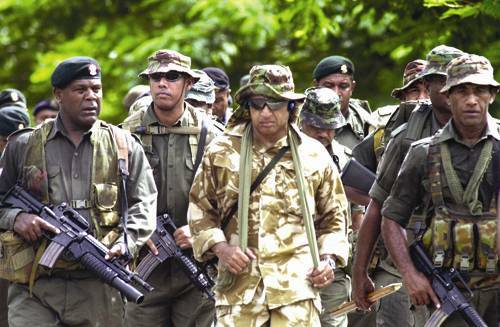 This Latest coup is somewhat different from the coup in 2000 because it has Fijians fighting against Fijians. This poses the question: Are the coups really about race? Looking at Coups throughout history, it is hard to tell if one has ever been justified. The very nature of a coup is one of selfishness, were a small body of individuals overthrows the ruling party. In Fiji, those involved in the coups would have the world believe that they are merely trying to protect their country from outsiders that were brought in without their consent. However, looking at the actions of the recent coup does not support that idea. In "A Race for Rights", one Fijian says, "We live side by side instead of together. 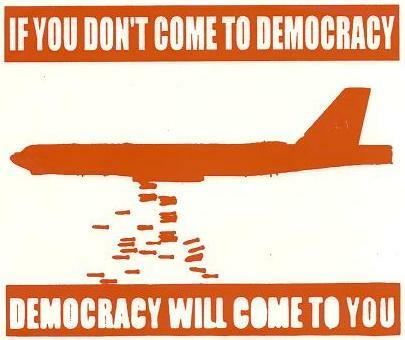 Until we get over the mentality ‘we don't like this government, we'll overthrow it' we won't truly be a democracy." This quotation from the Fijian man truly does sum up the problems. 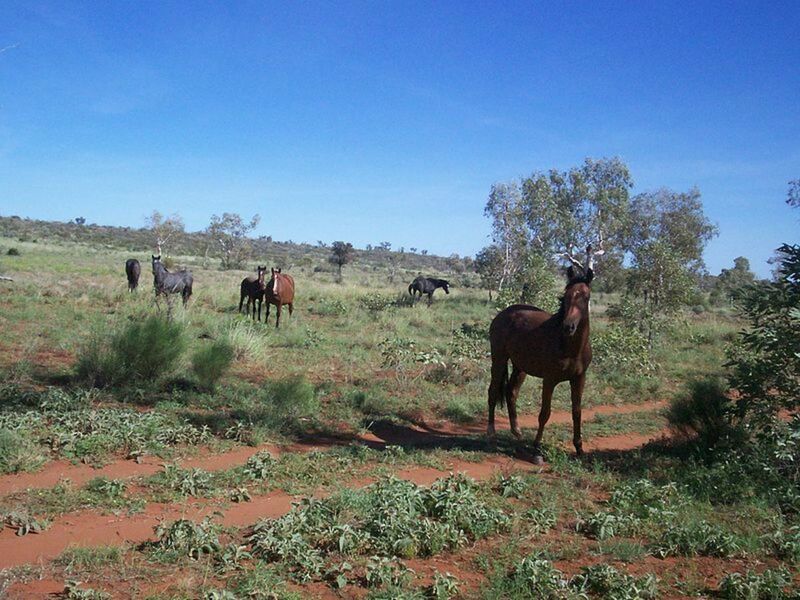 It is about race, but it's more about greed and selfishness. Coups are ultimately the enemy to democracy, and they will continue to be in Fiji until the people learn to live together rather than side by side. On Jan. 5, 2007, Bainimarama declared himself interim prime minister of Fiji. Soli Vakasama says, "Consider his record: since the coup that brought him to power in 2006 Bainimarama has suspended Fiji's chief justice and appointed a replacement who has so much respect among lawyers that six expatriate judges - Australians and New Zealanders - resigned; he has excluded lawyers who wanted to enter Fiji to work on cases that he found threatening; his bully boys have beaten critics of his regime; and there have been three deaths in police or military custody since the coup." He goes on to tell, "Every move he makes seems designed to draw attention to the fact that Fiji is in the hands of a despot who has little time for democracy, the rule of law, judicial independence and freedom of speech." The fact that Bainimarama is a military dictator as a result of a coup is telling of the devastation that coups bring to countries. Coup d`etat may be a French word, but it is a Fijian reality! A Race for Rights. Dir. Larry Thomas. Videocassette. 2001. "Coup d'etat." Wikipedia. 2007. Wikipedia Foundation Inc. 4 Jun 2007 http://en.wikipedia.org/wiki/Coup. Kriste, Robert C.. "Pre-Colonial times." Tides of History. Ed. K.R. Howe. Robert C. Kriste and Brij V. Lal. Honolulu: University of Hawaii Press, 1994. Macdonald, Barrie. "Brittan." Tides of History. Ed. K.R. Howe. Robert C. Kriste and Brij V. Lal. Honolulu: University of Hawaii Press, 1994. Scarr, Deryck. Fiji A Short History. North Sydney: George Allen & Unwin Australia Pty Ltd., 1984. Vakasama, Soli. "Media join in opposing Bainimarama Chris Merritt ." Discuss Fiji Politics. 29Feb2008. 22 Mar 2008 http://solivakasama.wordpress.com/2008/02/29/media-join-in-opposing bainimarama-chris-merritt-february-29-2008/. What a fantastic hub. I lived in Fiji for many years and felt the effects of the political instability as so many locals do, sadly. Lucky - not sure which source you got your info regarding Bainimarama's reason for the coup, but I can assure you that it was NOT because Qarase was refusing to pardon instigators of the 2000 coup... it was actually because Qarase made several attempts (some successful) to pardon instigators of the 2000 coup. 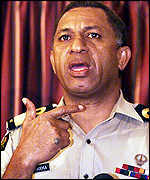 Qarase was appointed as Interim Prime Minister by Bainimarama after the 2000 coup, on advice that he undoubtedly got from his military council. Little did he know at the time that some of the men he most trusted, were in fact sympathetic to the nationalist cause, or at least easily swayed by short term financial gain. The treachery only became clear when Qarase, surrounded himself with people who had been involved or associated with the coup of 2000. He then went on to manoeuvre himself into a strong political position by instigating an agricultural scam that was merely a vote buying exercise. Boats, engines, farming implements... all were given away or subsidised upto a mere fraction of their value... and those &quot;in on the deal&quot; snapped the goodies up and sold them on for a tidy profit. Having won the 2001 elections, Qarase then proceeded to rack up further debt, and made increasingly desperate attempts to replace Bainimarama, who by that time was starting to become very unhappy with how things had played out. A month before the 2006 elections, Qarase brokered a deal with the civil service that would promise them a pay increase if they returned to power. After winning that election, Qarase's government showed the public exactly how this pay rise was going to come about, by raising taxes by 20%. In the space of 6 years, Qarase and his government more than doubled Fiji's debt, with very little infrastructure development to show for it. It may have been illegal, but I'm glad he's gone. Wow! This was totally interesting. I have several Fijian friends and now I feel I know a little more about their heritage, and politcal situation back home. I guess we should feel lucky, that even with all our governmental flaws, we still have the best system around. Great HUB once again.